Veterans Day is a special day for America, as well as for Sevan Multi-Site Solutions. 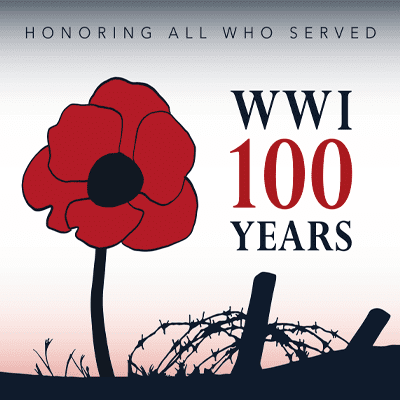 And this year is extra special – it’s the 100th anniversary of Veterans Day. For those who may not remember, the conflict between the United States and its allies against Germany formally ended on the 11th hour of the 11th day of the 11th month (November) in 1918. Sevan Multi-Site solutions was founded in 2011 by a group of industry leaders, including Army Veteran Jim Evans, bringing together a cadre of construction and program management experts. From the beginning, Sevan President & CEO Jim Evans brought forward the core values and experience he gained during his service as a Green Beret in the special forces leading a team of paratroopers—Integrity, Respect, Teamwork, Excellence and Charity. Sevan was established as a certified Veteran Owned Small Business (VOSB), and the company proudly employs more than 50 veterans. Here’s a snapshot of what being a Veteran and working at Sevan means to a few team members. Doug Gafney, Director of Innovation and Analysis, graduated from the United States Military Academy at West Point before getting an MBA at Indiana University. He served six years in the Army as a civil engineer and retired from service as a captain. Doug also met his wife in the Army where she also retired as a captain. On Veterans Day each year, Doug finds time to reach out to old military friends just to say hello and catch up. Doug has found common themes shared by Sevan and the Army. Doug credits Jim Evans, a fellow West Point grad, with providing opportunities to veterans from all branches of the service. He said Jim is a relationship-driven manager who is particularly persistent in recruiting exceptional team members, both veterans and civilians. Carl Colwell, Operations Director, joined the company after 21 years of active duty in the Army where he retired as a lieutenant colonel. Eileen Keller, Project Manager, spent 11 years in active duty within the Army, which included two tours in Afghanistan and one in Iraq. She is also a West Point graduate—one of about 135 female cadets, or 15 percent, in her graduating class of 900. Today, she holds the rank of major in the active Army reserves. Eileen has been with Sevan for about two and a half years and joined the company for the same reason she joined the Army. “I wanted to become a good leader,” she said. “And I wanted to grow other leaders. I’ve always wanted to take on more responsibility, and still do,” she said. Based in Nashville, Eileen says she finds a strong sense of connection and purpose at Sevan, just like she did in the military. Relationships matter, she said, reflecting on strong bonds she formed in the service. What will Eileen be thinking about on Veterans Day?